Developed by 3D Realms, Gearbox Studios, Triptych Games, and Pirahana Games; Released on June 14, 2011 for Xbox 360, PS3 and PC. Current price: $10 or cheaper at retail, $20 on Steam. What’s it about? 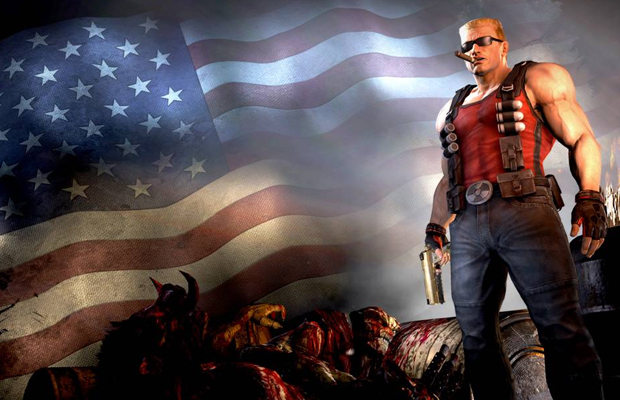 Long in coming and close to vaporware, Duke Nukem Forever was in development hell waiting for release. 3D Realms couldn’t finish it, so Gearbox bought the rights to the franchise to finish the game. Whether or not it looks finished is another question. You play as the titular Duke Nukem, who’s once again forced to save the world from aliens trying to kidnap our babies. Why’d you put it down in the first place? ‘Why’d I pick it up in the first place?’ is a better question to ask. I rented it out of pure curiosity. This game couldn’t be that bad right? I didn’t buy it so that must tell you something, but my brother ‘gifted’ it to me for my birthday this year. Was it worth coming back to? Duke Nukem 3D holds a special place in my heart for being one of the first M-Rated games that appealed to my eight-year-old sensibilities. The beefy protagonist had dumb catch phrases, shot aliens, swore, and gave money to women; that’s awesome for 1996! As I’ve grown up, Duke now feels like a complete relic. Even when looked at through the hazy gaze of nostalgia, the character just doesn’t hold up. Duke Nukem Forever is plain not good–a waste of two years of development, for all intents and purposes. I won’t put the blame entirely on Gearbox (because Aliens garners enough blame as is), but it’s clear that they were just given the remains of what 3D Realms had, and tried to make it playable. Textures look awful, Duke gets stuck in places he most definitely shouldn’t, the puzzles feel like antiquated 90s “hit the switch in the right place” challenges, that weren’t all that fun back then. Not to mention, Duke can only carry 2 weapons, a restraint inspired by modern shooters. For a dumb shooter like this, why can’t Duke carry 7 guns at once? He could before. The voice of Duke–Jon St. Jon–just sounds bored out of his mind, too. The actor sounds like he has no passion for Duke and the writing behind his lines is uninspired; the dig at how he doesn’t need “power armor” like a certain “Spartan” is especially stupid. Would I recommend this? I’d rather you spend your $10 on some alcohol and pretend you’re Duke Nukem. Better yet, just buy Duke Nukem 3D since I believe they’ve bundled it on Steam as part of the Megaton Edition. The classic side-scrollers are still awesome and Duke Nukem 3D has some great level design. But the latest entry in the series is something you should avoid… Forever.